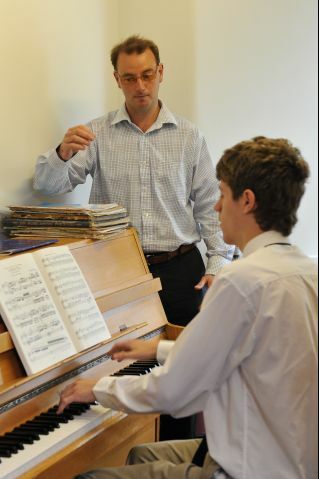 Andrew teaches piano, organ and singing at Exeter School, with several of his pupils going on to become organ and choral scholars at university. At the school he also shares his music-writing expertise by teaching the A level composition classes. In addition, he does some peripatetic teaching at Newton St. Cyres Primary school. Andrew has a number of private piano, organ, composition and singing pupils, with a particular specialism in diploma-level tuition.